The options A, D, E and G are quite simple. 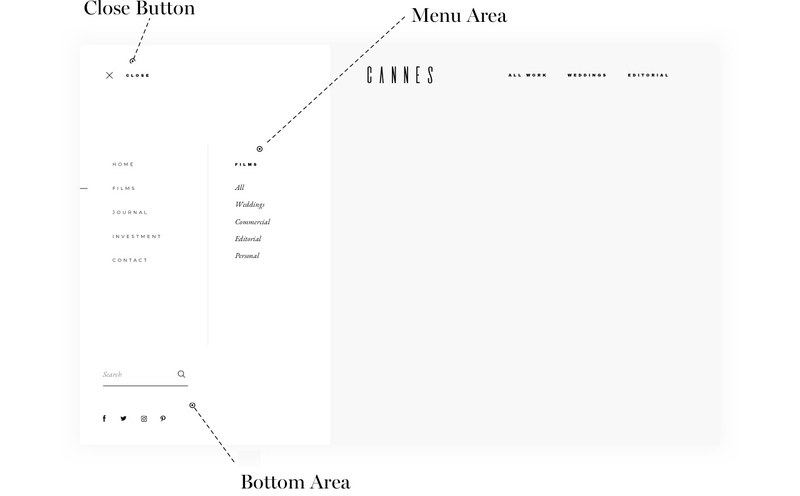 You get a standard header area with different logo positioning – above the menu (A), the the left (D) or right (E) of the menu and finally in the center (G). The drop-down will have a color background for better readability. For sure, everything is customizable here – fonts, colors, etc. 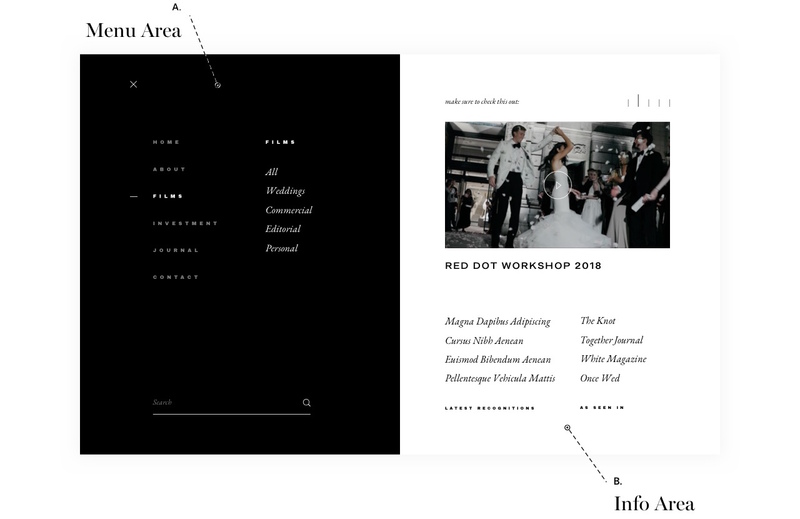 It’s split to the menu area and the info area that may include a short presentation of your favourite videos, links to your best projects or coming workshops or whatever you would like to showcase here. And finally the option F that is also very interesting. It has a burger menu to the right with more minimalistic but still cool popup and the custom links area to the right of the menu. You can add up to 3 links here and direct your clients to the most important areas. In the footer builder you have 2 areas that you can use to create your site footer. You may include only one of the available areas or both of them. The first area is the Instagram feed and it has one design option. You can decide if you want to keep paddings at the top and bottom and change the color of the padding area. Type A option works with color or image background and allows you to add some description (that may be useful for SEO) and links. Type B options includes subscribe, text area that you can use for contact info for example and area for social links. 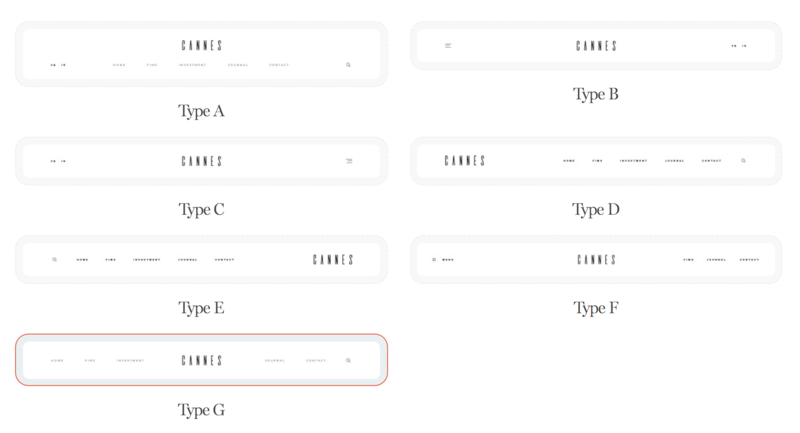 And the third option Type C is a minimalistic footer for copyright or some short info. Please also note that for certain pages or templates you can use custom headers and footers. It may be required if you want to have more focus on the content of those pages and want to use minimalistic header or footer. Our demo includes many pages with headers or footers tweaked for those pages only.